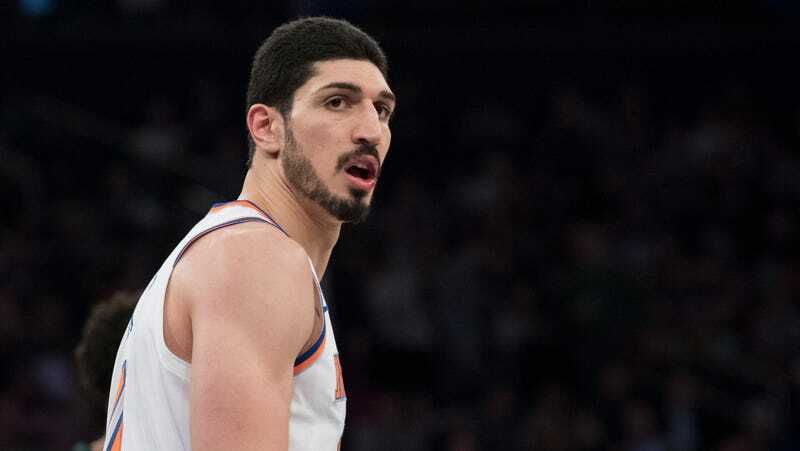 Turkey Indicts Enes Kanter's Father For "Membership In A Terror Group"
Mehmet Kanter, the father of New York Knicks center Enes Kanter, has been indicted in a Turkish court for charges of “membership in a terror group,” according to Turkish media reports. The indictment says that Mehmet was allegedly contacted by 127 suspects with ties to Fethullah Gülen, an imam who’s been blamed for engineering a coup attempt on Turkish president Tayyip Erdogan in 2016. If convicted, he could reportedly face a prison term of five to 10 years. Enes Kanter has been an outspoken critic of Erdogan, whom he’s called the “Hitler of our century,” and a supporter of Gülen, who’s currently living in exile in the U.S. However, Mehmet has publicly supported Erdogan, and formally disowned his son for his association with Gülen. A former professor, Mehmet was purged from public service following the coup attempt, and he had been previously arrested in June 2017 shortly after the government issued an arrest warrant for Enes. Mehmet was released from custody after five days, with Enes speculating that the move was a ploy to lure him back to Turkey for his own arrest.